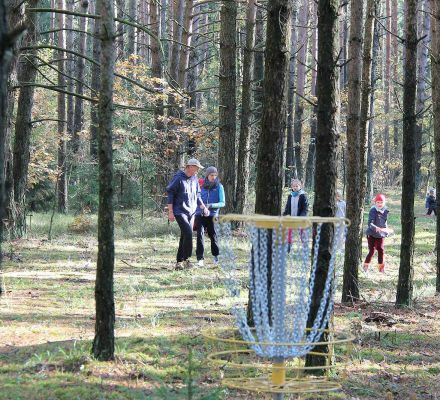 SURVILOS HOMESTEAD is located in a remote area near the Sveicarija (Switzerland) village, in Jonava district, just 28 km from Kaunas. 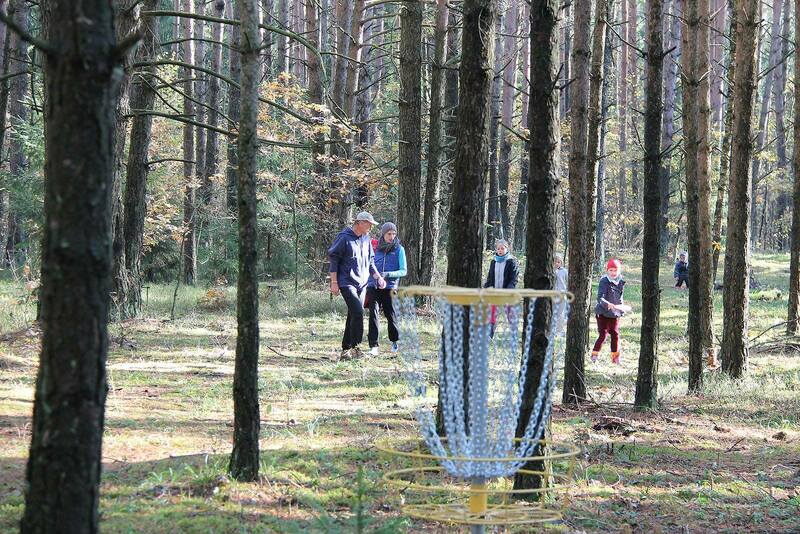 This is a great place for a relaxing or active recreation, corporate events, family celebrations. 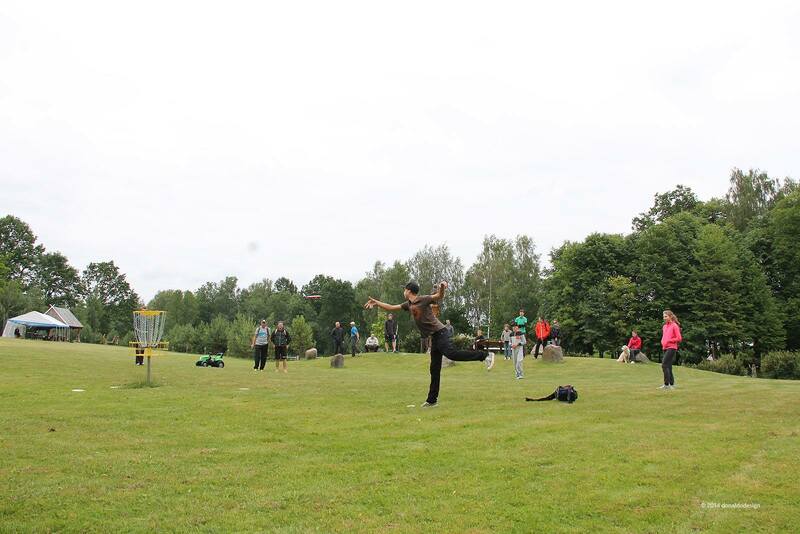 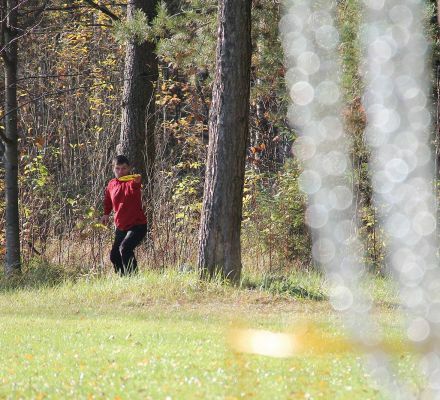 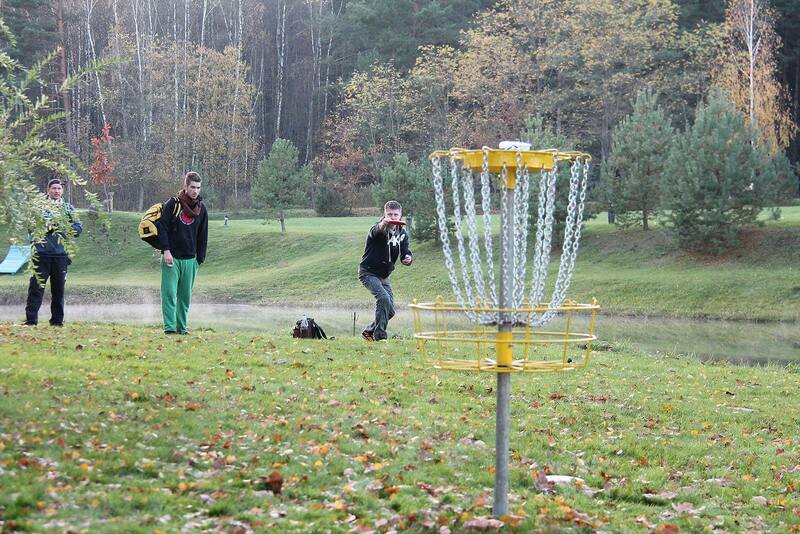 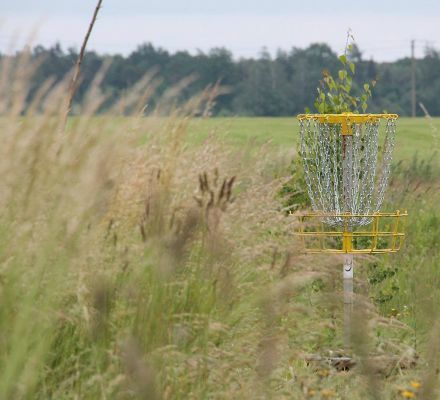 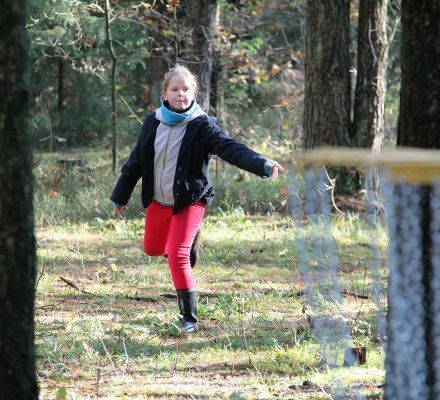 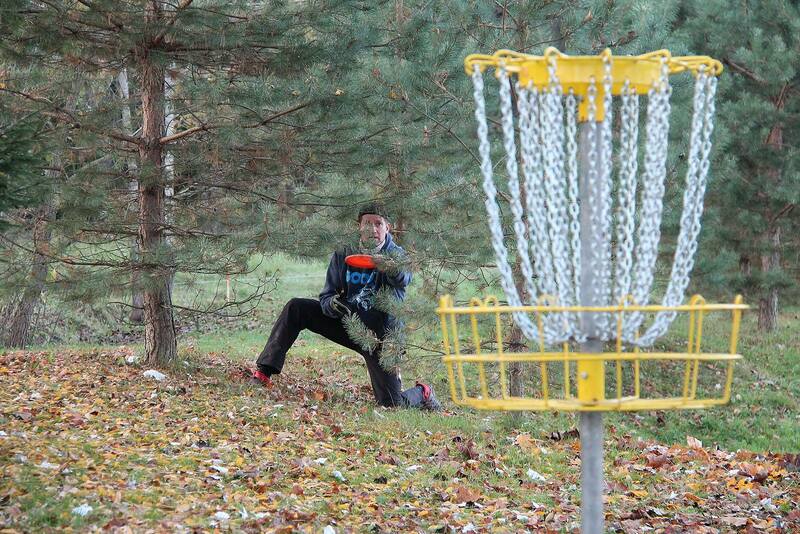 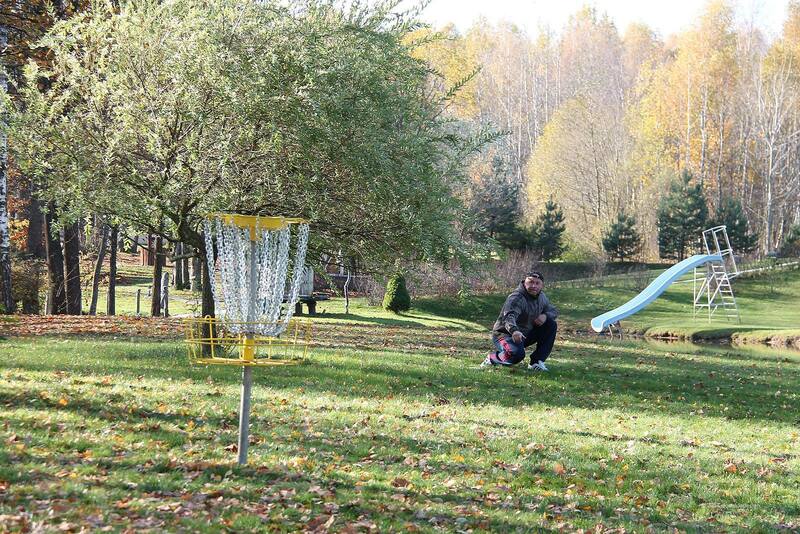 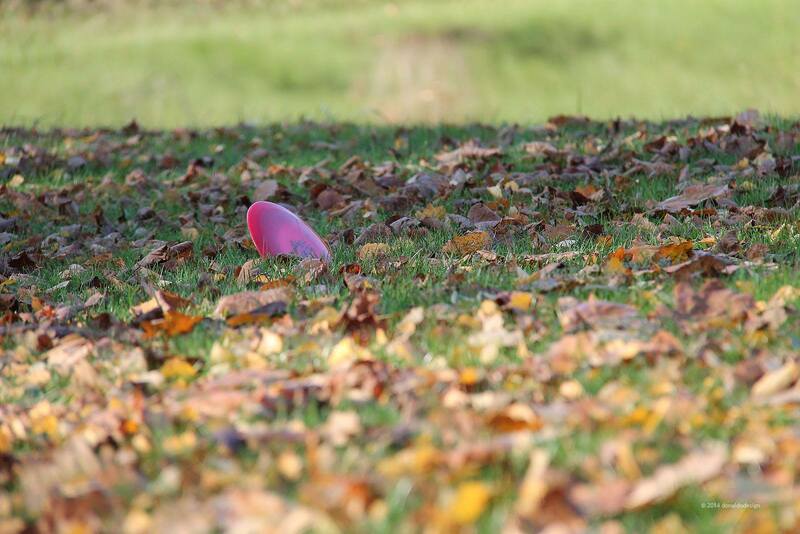 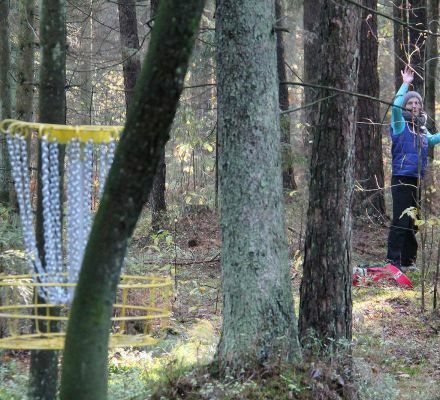 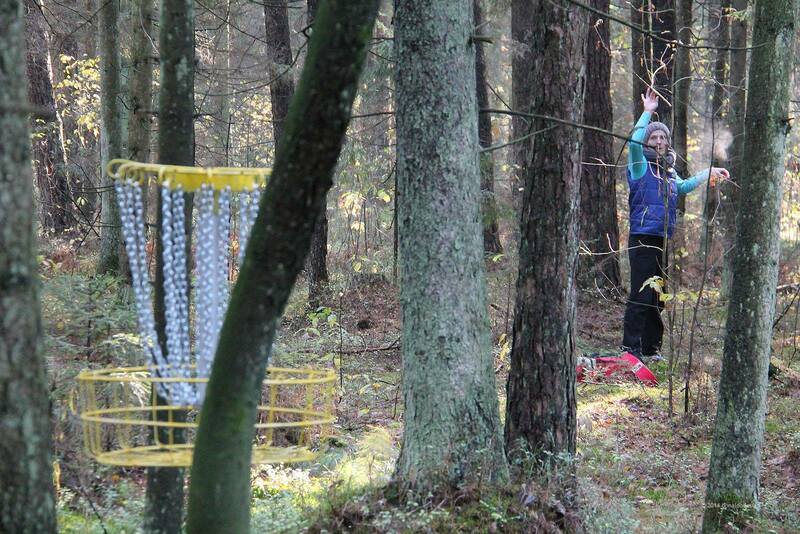 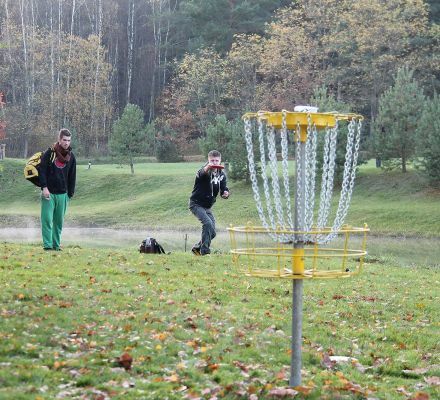 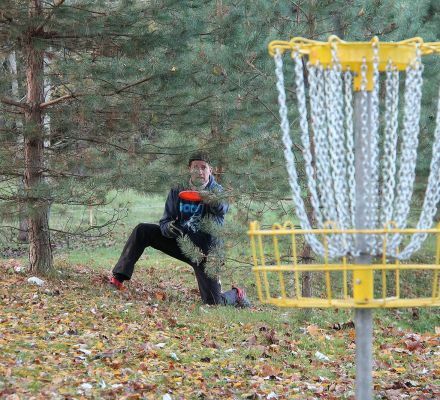 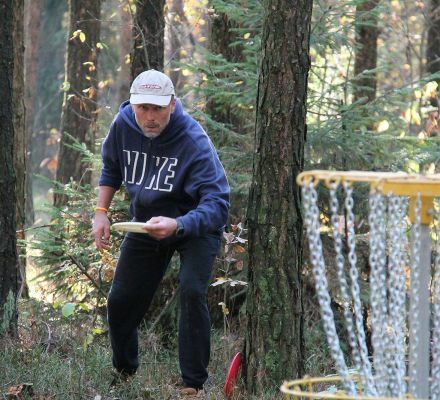 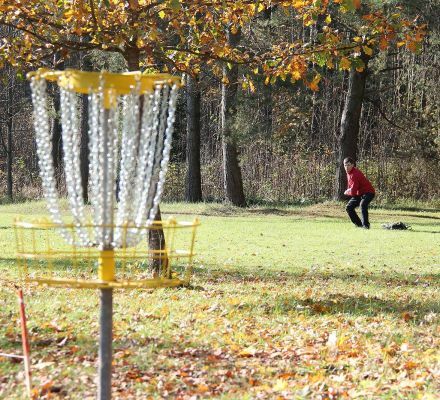 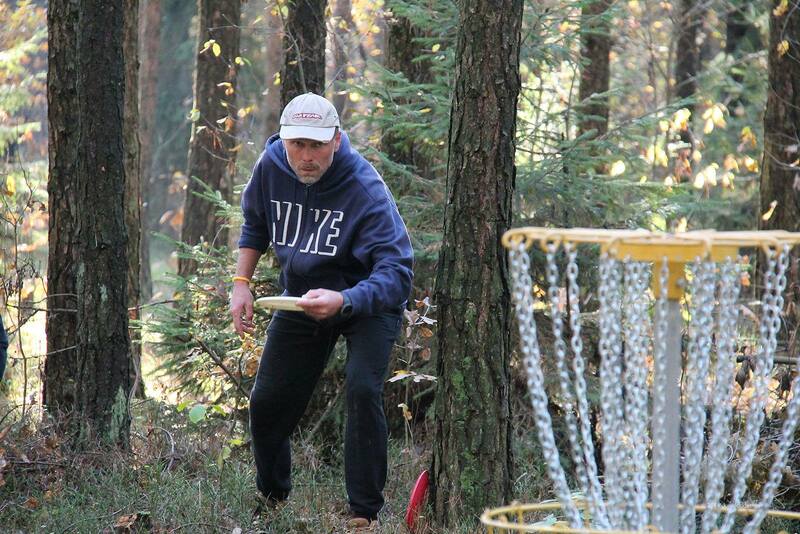 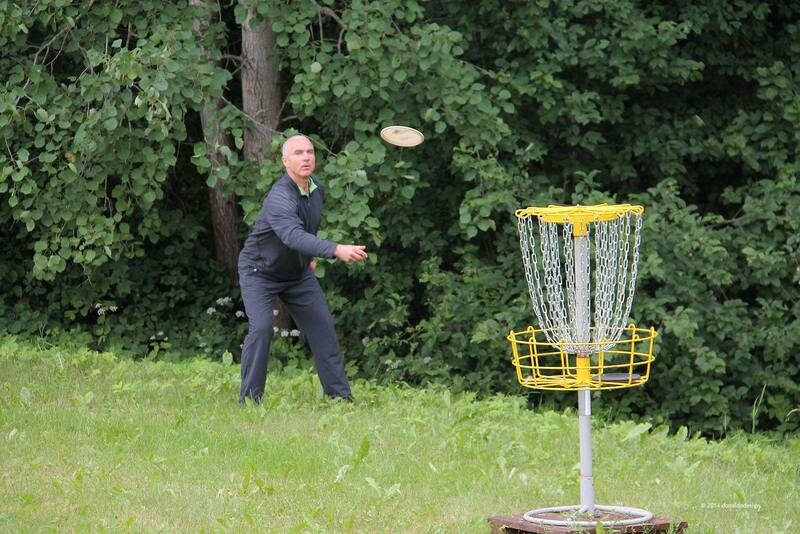 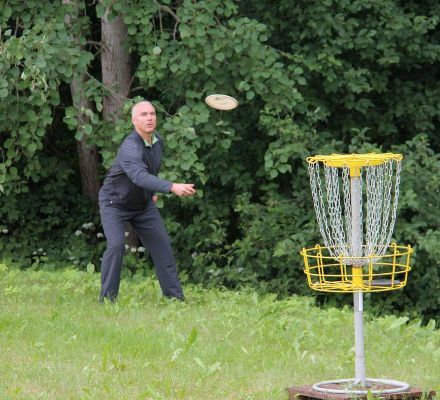 DISC GOLF is similar to a traditional golf, but instead of balls and sticks players use discs (flying plates) and a special basket as a target. 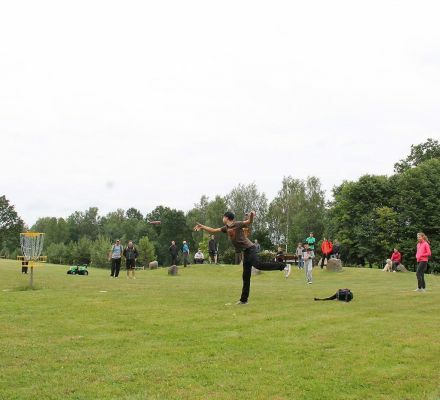 When the game starts, each player starts throwing a disk from the same marked place and after that they continue throwing the disk but already from the last place it has landed, similar to regular golf. 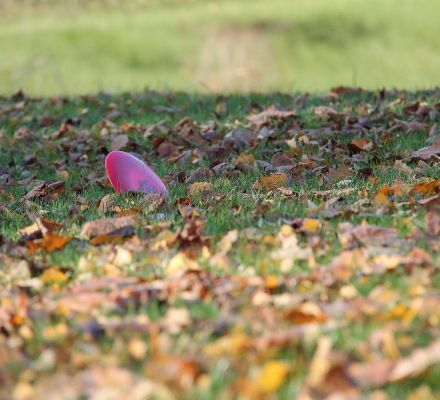 Trees, shrubs, water ponds and terrain provides natural obstacles, which, depending on the season, each time can be different. 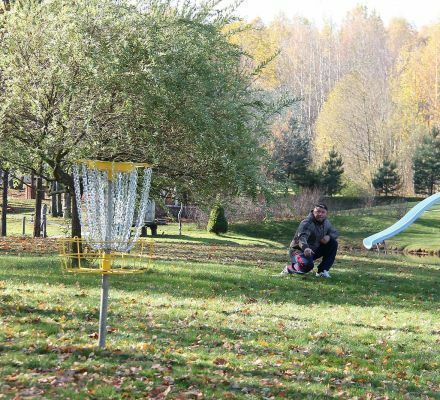 Finally, with the lust throw (or “putt” in the disc golf language) disc reaches the target thus completing the “basket”. 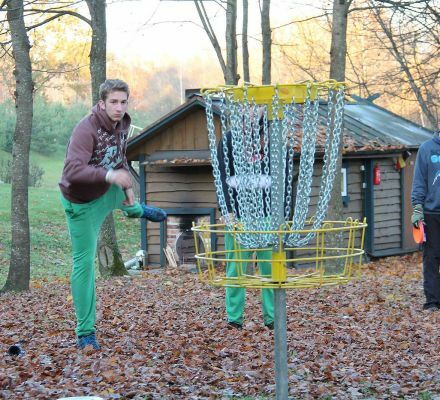 For those who prefer kicking instead of throwing, we offer to try out another new sport. 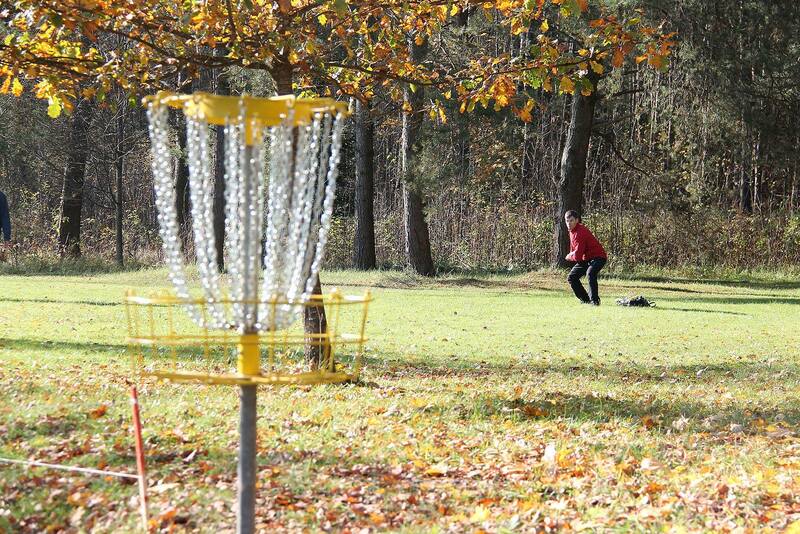 Football as golf and disc golf is perfect for all lovers of active lifestyle. 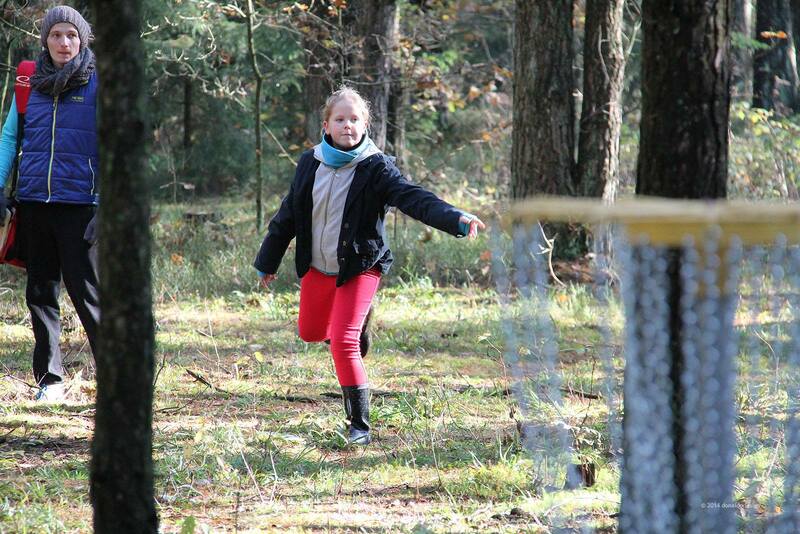 They are passionate, fun activities suitable for all ages. 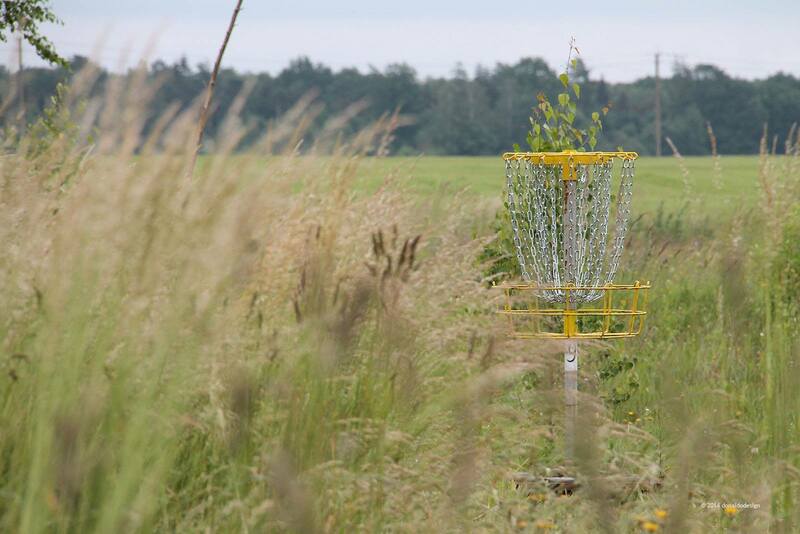 They are played by the rules of traditional golf. 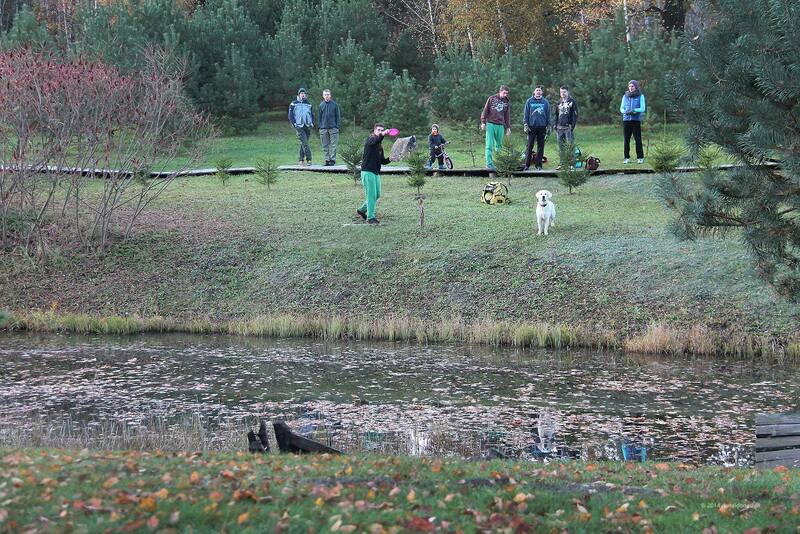 Only instead of a ball and stick a football ball is being used. 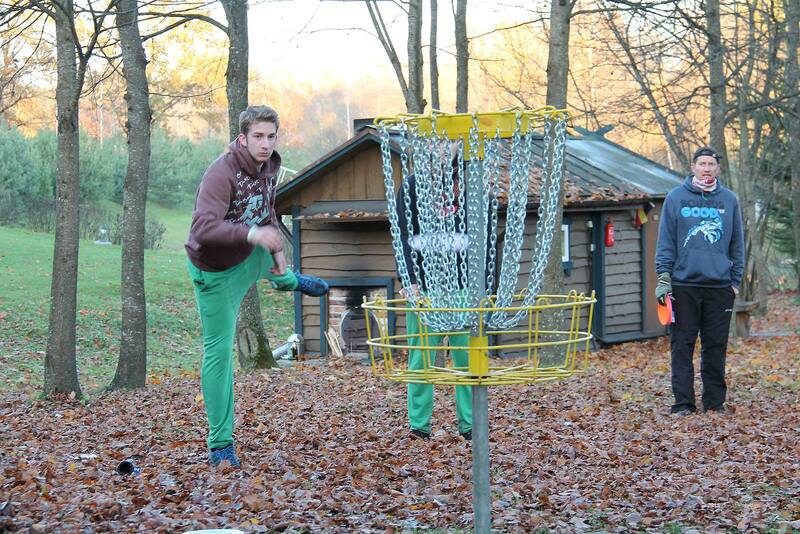 The aim is with as few attempts as possible, to kick a ball to the dedicated hole. 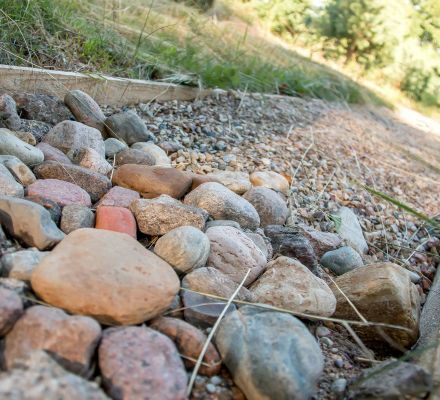 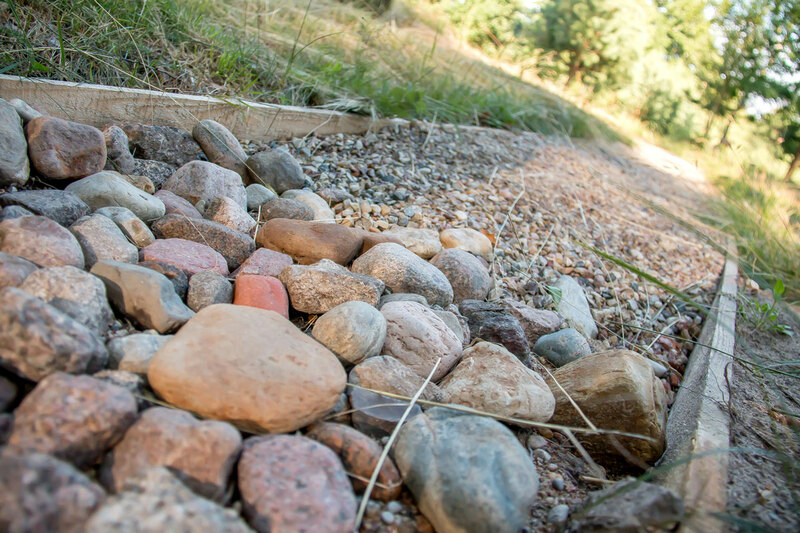 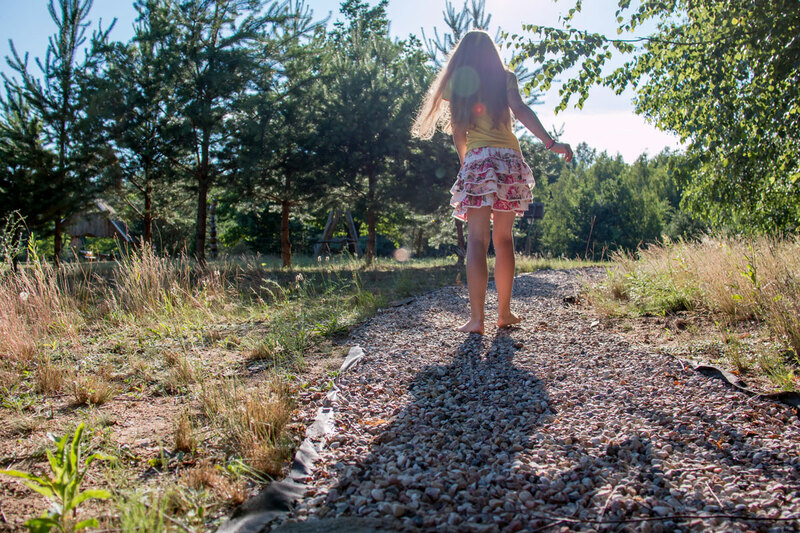 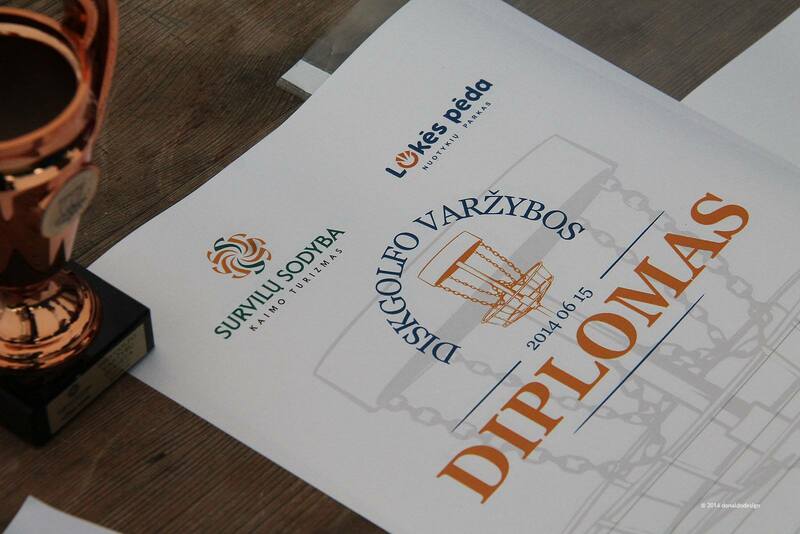 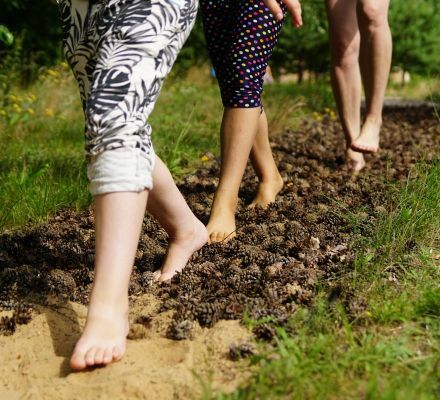 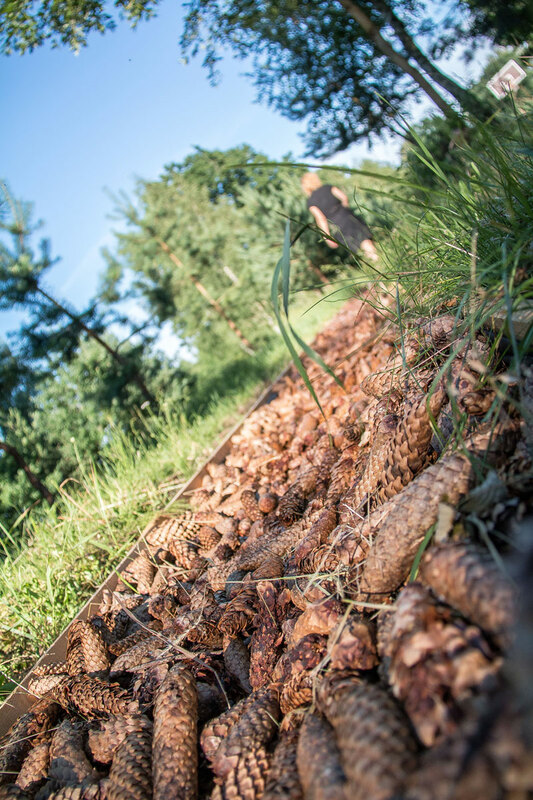 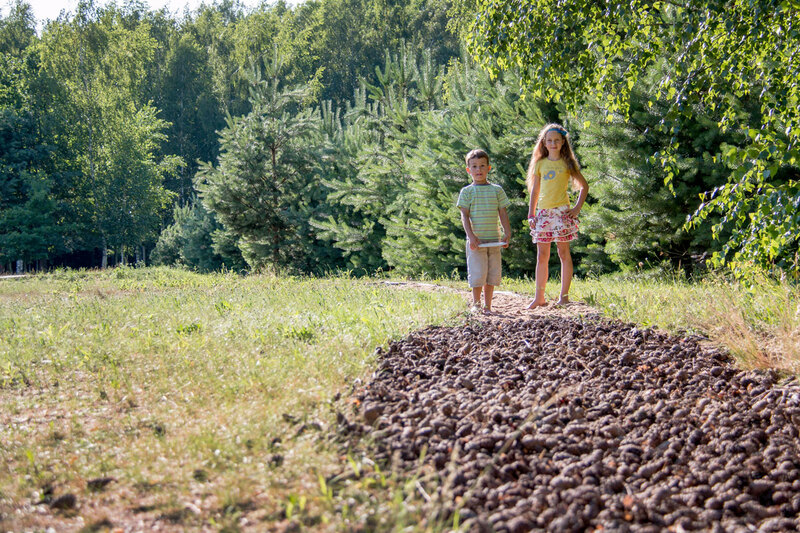 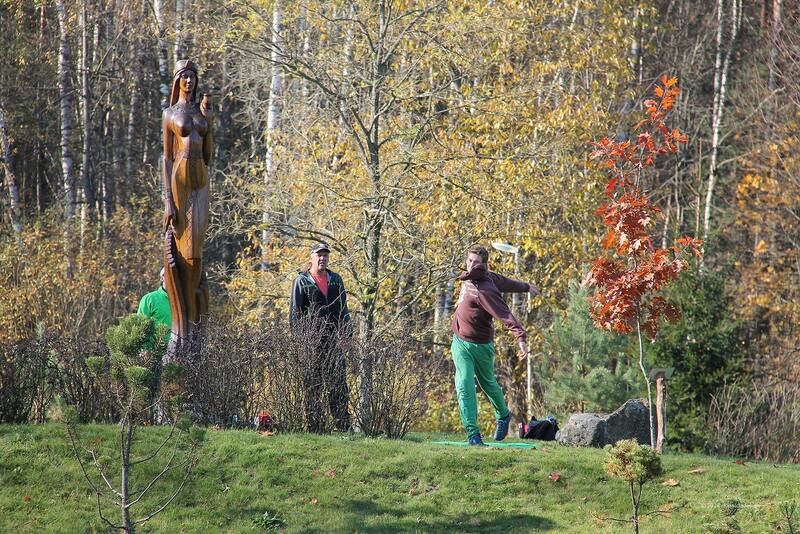 Survilos homestead has opened the first Lithuania BAREFOOTED TRAIL, which consists of more than 10 different coatings. 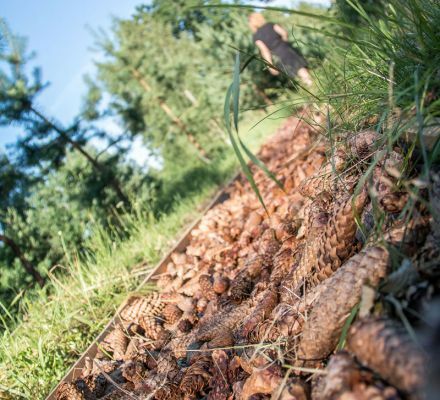 This trail will allow you to experience full range of unexpected senses and it will make every “city” person, who moved away from nature, smile or shriek of surprise with each time. 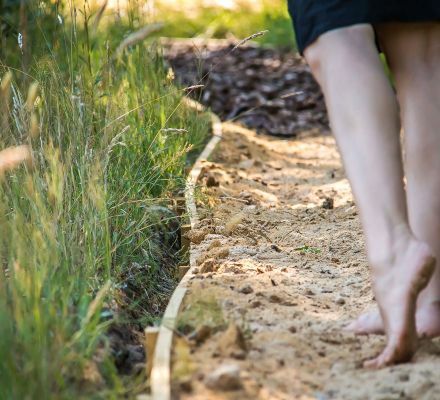 It may happen, that after walking our Barefoot Trail, you will no longer wish to put on shoes. 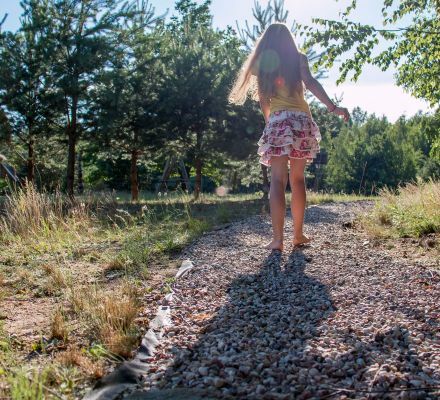 Just several minutes walking will give you so many positive emotions and a burst of energy, wake you up from any drowse. 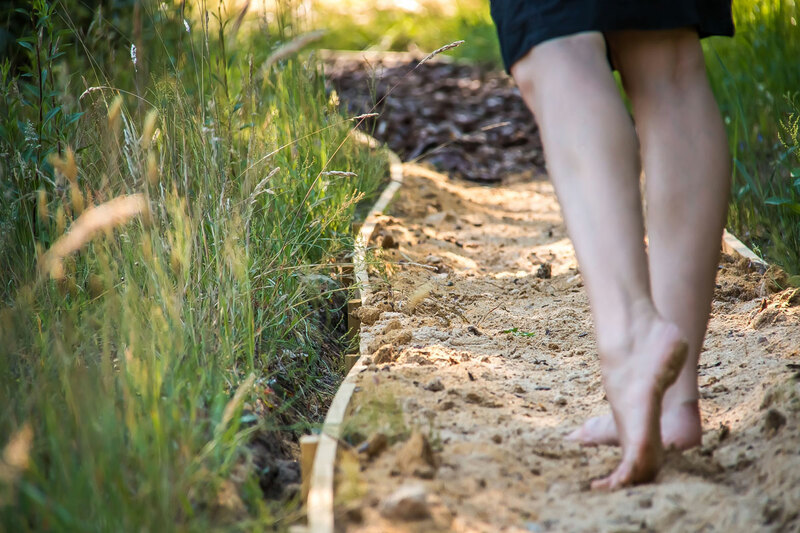 While walking such trail – tension releases from tired feet, blood and lymph circulation are improving greatly, joint mobility in the limbs enhances, feet skin becomes soft, and feeling of lightness floods you up. 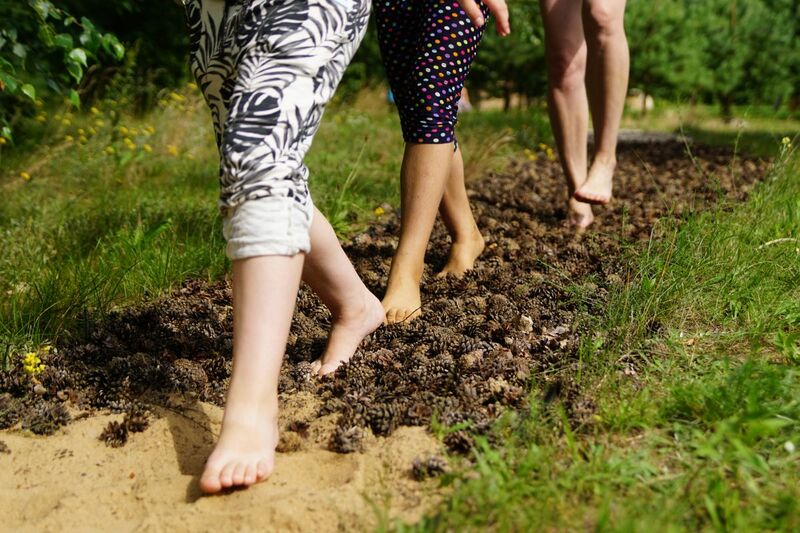 Barefooted Trail reduces stress. 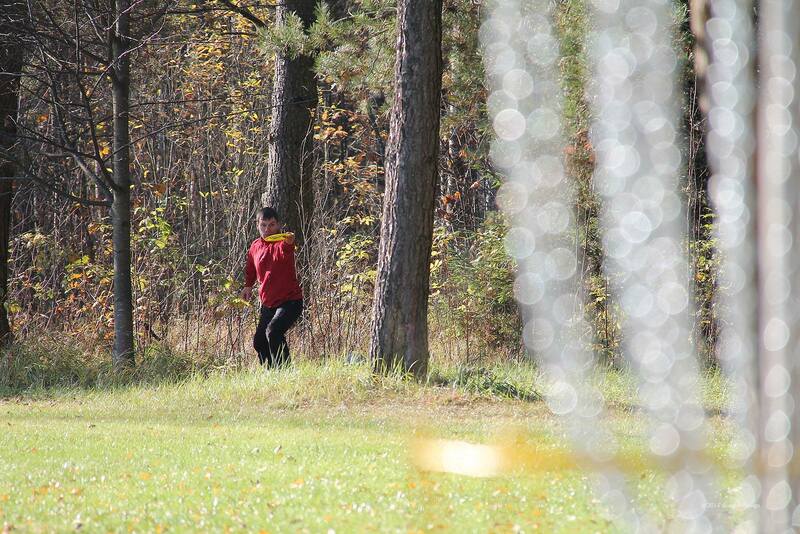 THE BIG HOUSE. 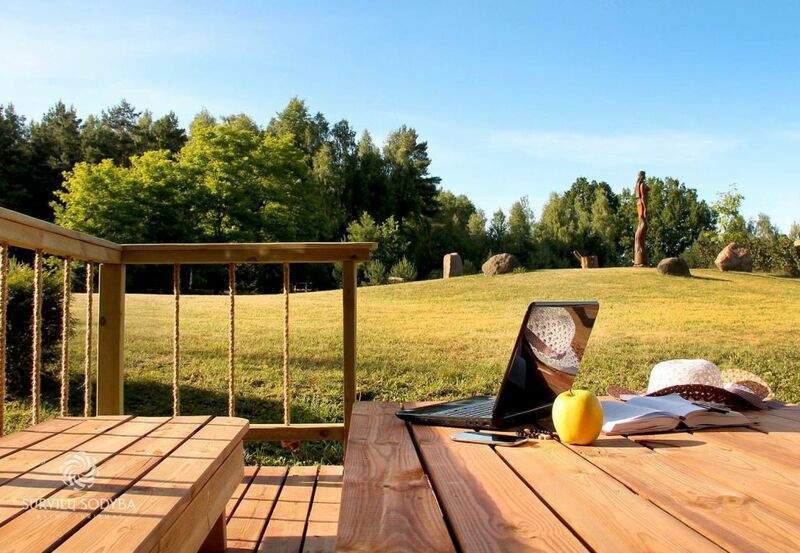 It has three bedrooms, a banquet hall accommodating up to 40 people, a kitchen. 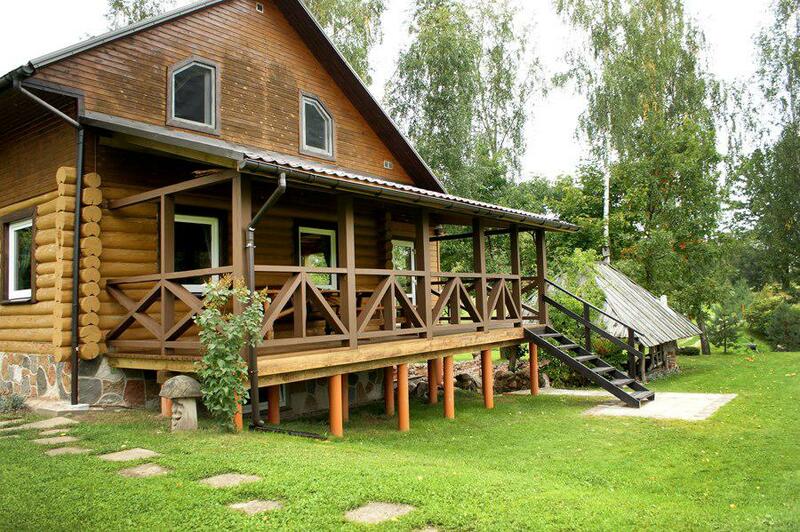 Three bedrooms are on the second (for 11 people), it has a big dressing room, sauna and showers in the basement. 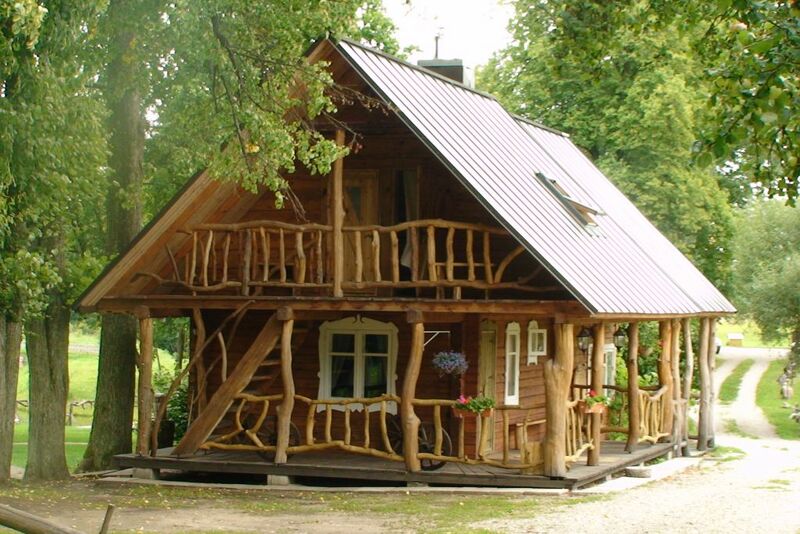 HOUSE FOR TWO FAMILIES. 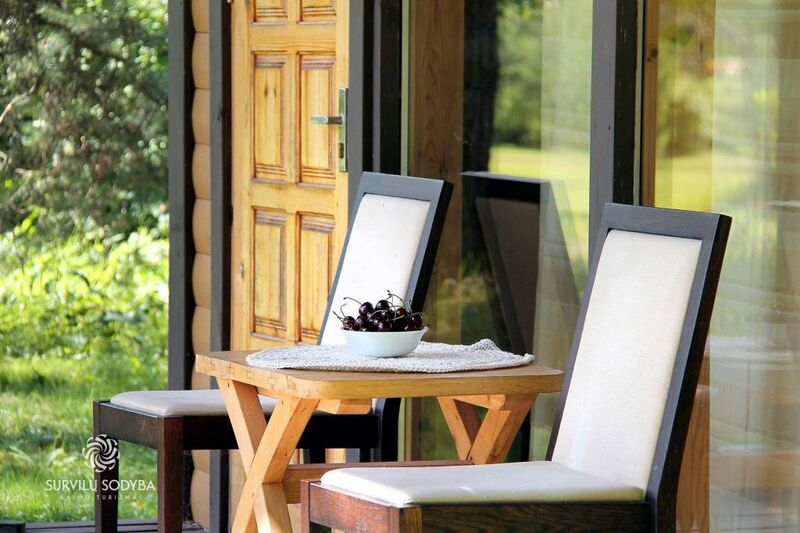 It is a cottage house with a kitchen, toilet, a fireplace and two bedrooms (for 6 people) on the second floor. 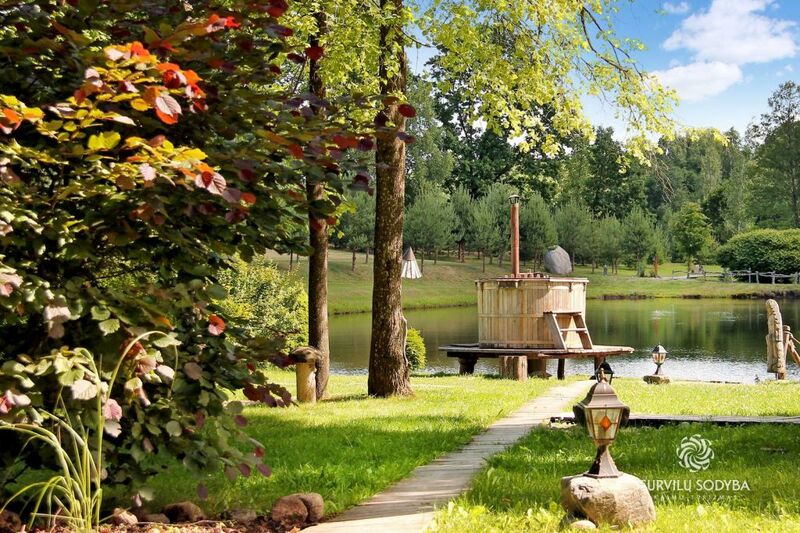 In addition to the house there is a sauna and a Japanese hot tub outside the house. 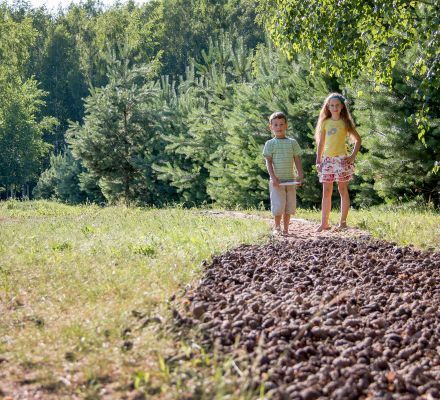 FOREST HOUSE. 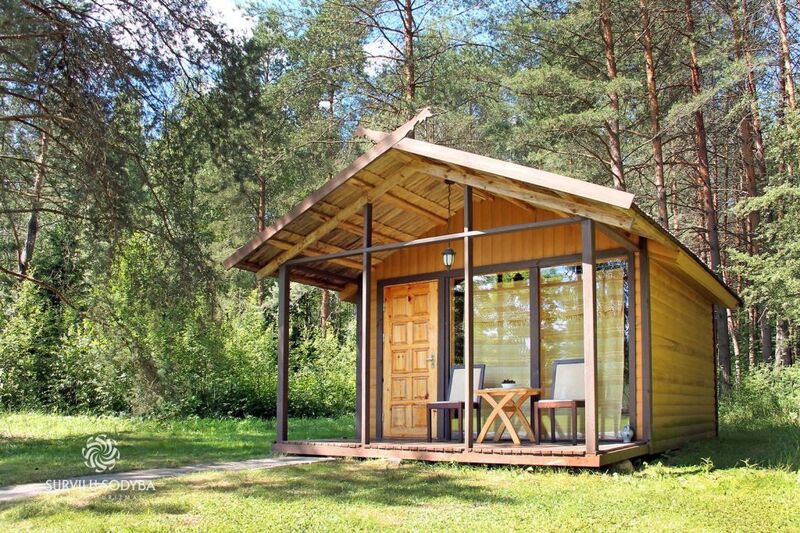 It’s a wooden cabin with a terrace for two people, with the toilet outside the house, old Lithuanian village style. 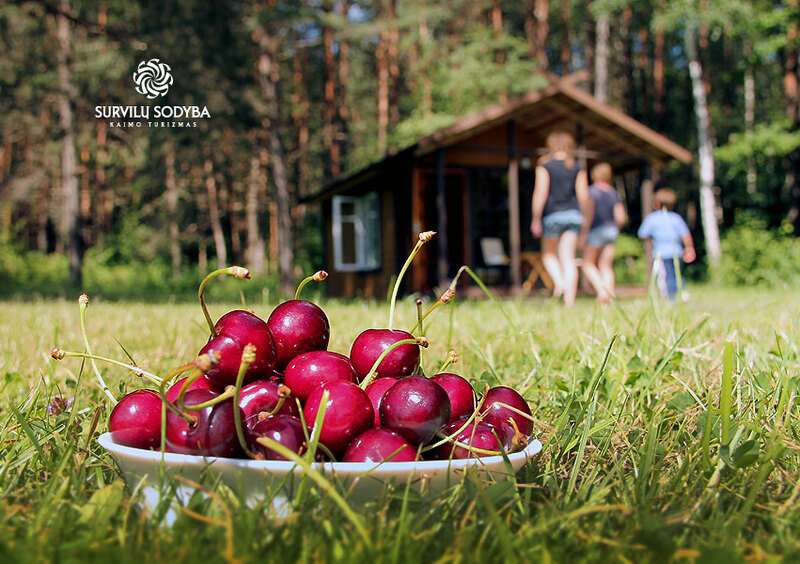 This cabin is far from other houses, special place for those who love peace, nature and privacy.